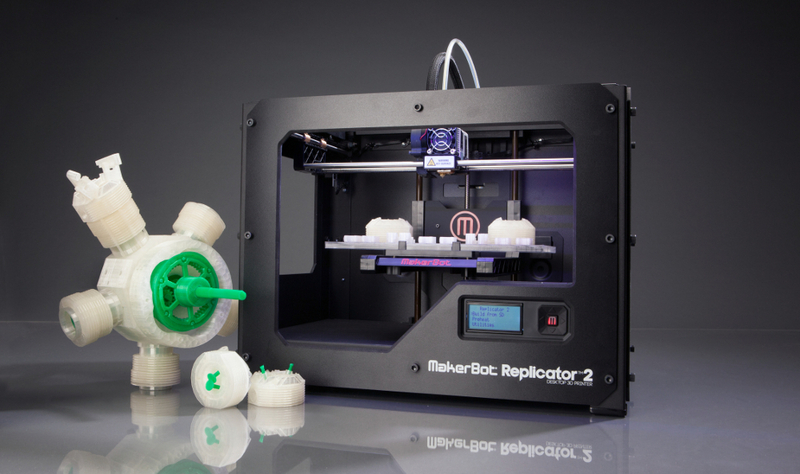 What is Rapid Prototyping / 3D Printing? Rapid Prototyping, also known as 3D printing, is an additive manufacturing technology. The process begins with taking a virtual design from modeling or computer aided design (CAD) software. The 3D printing machine reads the data from the CAD drawing and lays down successive layers of liquid, powder, or sheet material — building up the physical model from a series of cross sections. These layers, which correspond to the virtual cross section from the CAD model, are automatically joined together to create the final shape. Rapid Prototyping uses a standard data interface, implemented as the STL file format, to translate from the CAD software to the 3D prototyping machine. The STL file approximates the shape of a part or assembly using triangular facets. Typically, Rapid Prototyping systems can produce 3D models within a few hours. Yet, this can vary widely, depending on the type of machine being used and the size and number of models being produced.